Checkpoint inhibitors (CPIs) have revolutionized the treatment of cancer, with remarkable survival benefits. Since the initial US Food and Drug Administration (FDA) approval of ipilimumab for metastatic melanoma , indications for CPIs have expanded into several other cancer types, substantially increasing the number of patients receiving these therapies [2–10]. However, up to 95% of these patients may experience immune-related adverse events (irAEs) [11–15], primarily due to immune dysregulation targeting normal tissue antigens [16, 17]. Safety and efficacy data are lacking for CPIs in patients who have undergone solid organ transplantation (SOT) because these patients have been systematically excluded from clinical trials. However, SOT recipients are known to have an increased risk of developing de novo cancer after SOT [18–22]. Moreover, cancer has been reported as the second leading cause of death in these patients , presumably because they receive chronic immunosuppressive therapy to maintain allograft tolerance [23, 24], as well as less aggressive cancer treatments because of comorbidities . As the indications for CPIs expand to many cancers, it is crucial to determine the risk-benefit ratio of CPI use in SOT recipients. In the current study, we reviewed the records of patients who had undergone prior SOT and received CPIs for cancer at The University of Texas MD Anderson Cancer Center. In addition, we systematically reviewed the literature to identify all similar reported patients, to summarize the evidence on the safety of CPIs, including rate of rejection, irAEs, and mortality, and determine the observed tumor response in this population. The use of CPIs in SOT recipients has been previously reported in four other reviews [40–43] and in four case reports with a literature search included [32, 44–46]. However, these reviews did not provide their search strategy or had a more limited search (only one database ) and did not follow the methodology required for conducting systematic reviews, such as the screening process and using specific criteria for inclusion and quality assessment. Similar to our findings, the previous reviews identified some patients who had allograft rejection and others who tolerated treatment with no adverse events. However, they did not synthesize the evidence on the frequency of allograft rejection by type of SOT, class of CPI, and type of anti-rejection immunosuppressant used at CPI initiation. 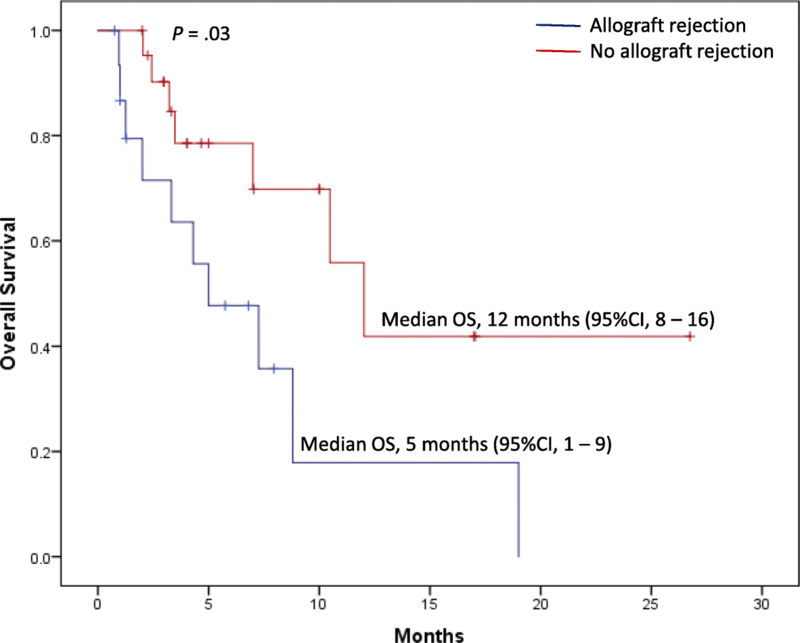 The tumor response to CPI and OS in relation to the occurrence of allograft rejection and type of anti-rejection immunosuppression were not clearly specified. In addition, they did not provide information on how rejections were managed and whether they necessitated permanent discontinuation of CPIs.